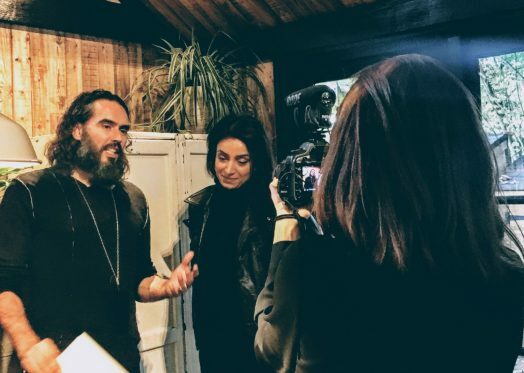 Russell Brand, the British comedian, writer, actor, presenter and social activist, interviewed Deeyah Khan for his podcast Under the Skin. The two-hour conversation covered race, violence against women, misogyny and extremism - amongst many other topics. The full conversation can be listened to in full here. After recording the podcast, Deeyah and Russell made a short video blog which can be watched below.